Our Executive MBA program curriculum is designed to enable participants to master a broad range of functional and managerial skills. The program enables participants to practically apply newfound skills and ideas into their workplace. The program starts with a live-in week on campus where participants are introduced to the study issues and the skills to be developed. This is also a critical time for the development of class identity and bonding, and for the formation of study groups. Focuses on the skills and ideas behind effective leadership: working well with teams, utilizing your personal and organizational resources, making difficult but critical decisions, and negotiating well, all with a broad, multifaceted outlook. Introduces fundamental probabilistic concepts that enable managers to make critical business decisions in the face of uncertainty. Modules 1 – 5 are monthly live-in weekends at HKUST campus. Participants meet twice every month on the HKUST campus and stay in the Conference Lodge, which is specially furnished for executives. Explores economic principles of business strategy and develops an analytic framework for identifying and evaluating alternative strategies. Explores the use of sample data for purposes of estimating, predicting, forecasting, and decision-making. The course will focus on the economic forces that determine the extent to which businesses can capture the value that they create. Introduces the basic techniques of finance. Topics include discounting techniques and applications; evaluation of capital expenditures; and estimating bond and stock valuation. Examines the basic principles and useful tools of managing the production of goods or services. Emphasizes tools and principles that are equally useful in service and manufacturing sectors. The course deals with firm valuation and the implication of financing decisions for shareholder value creation. Topics covered include sources of financing and the process of raising capital, capital structure, firm valuation, leverage and cost of capital, and cash distribution policy. This course offers a strategic perspective of marketing management, focusing on the process of developing a marketing strategy and designing an optimal marketing mix to carry out the chosen strategy. Explores economic principles essential for the formulation and evaluation of strategy. Topics include industry analysis, strategic positioning and the boundaries of the firm. Details the use of financial information in management. Topics include profitability and performance measurement and activity-based management and decision support. The why and the how of corporate international growth will be analyzed throughout the course. In a world fixated by “globalization”, the most fundamental questions for companies planning and managing their overseas growth will be examined. Successes and failures will be discussed in order to understand what management teams must do to get international growth right. The 10 live-in days at the Kellogg School are held at the James Allen Center on Northwestern University’s lakefront campus in the Chicago suburb of Evanston, Illinois. Participants study with executives from Kellogg’s global network of joint programs from Asia, the Middle East, Europe and the North America. It is an exchange of knowledge and experience that creates long lasting friendships within a worldwide network of executives. The goal of the course is to understand how strategic decisions in operations impact the performance of the firm. The key will be to understand the link between operations configurations, the customer experience, and the financial performance of the firm. Examines topics of new product development, marketing resource allocation, and competitive strategy. Concepts are reinforced by playing MARKSTRAT, a simulation game. Develops negotiation and dispute resolution skills through simulations set in dyads, groups, and multilateral contexts within and between organizations and across cultures. Explores crisis management from the point of view of managers and consultants. Understands the motivations and strategic capabilities of stakeholders, and the importance of value-based management in preventing and managing corporate crises. Modules 6 – 10 are monthly live-in weekends at HKUST campus. Participants meet twice every month on the HKUST campus and stay in the Conference Lodge, which is specially furnished for executives. The purpose of this course is to provide a framework for addressing issues about the global economic environment. It will then apply the framework to understanding the global economy. It will introduce important insights in the labor, money and foreign exchange markets. This course provides a managerial overview of new technological innovations including Internet of Things, big data analytics, and fintech, blockchain, and cryptocurrencies. We will go through the technological foundation of these new developments and how they connect with each other to transform businesses. The course will conclude with practical advice on how to strategically utilize and manage these new technological innovations. The objectives of this course are to 1) provide participants with an understanding of the impact of digital and social networks on customer behavior and marketing strategies; 2) share conceptual frameworks and analytical tools for formulating and implementing marketing strategies; 3) help participants understand best practices in digital marketing through cases, exercises and examples. This course is designed to prepare executives to succeed as members of an M&A project team. It takes the perspective of a company involved in M&A, not investment bankers or private equity. Provides an overview of private equity, underwriting methods and various details in structuring. Focus will be put on the Asian market. 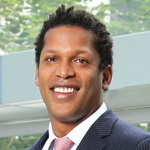 The course is taught by the head of an Asian private equity platform. The course offers participants the opportunity to strategize and be the decision maker in practical, real-world business situations throughout the Asia Pacific region, including China and India, which illustrate successful and unsuccessful deal-making strategies in Asia. This course will give participants an appreciation of how getting inside the mind of the consumer enables the marketing manager to design better effective marketing strategies, with a particular emphasis on effective communication tactics. This course provides both a micro and macro perspective on the factors influencing a customer. This course will systematically present the fundamental tenets of value investing: search; valuation; and the construction of a portfolio. It will also introduce the styles of famous value investors and discuss the basic similarities and differences between them. The course is intended for ‘active’ investors who are willing and able to devote significant amount of time to continually research, select and monitor stocks. This course is designed to teach the principles of business law to business students as corporate managers. The course is intended to illustrate the usefulness of law to corporate executives, bringing into the classroom relevant examples from the business world. The course focuses on the ‘customer discovery’ process, often referred to as “Phase Zero” in the innovation process. This is perhaps the most important moment in the life of a business. This is designed to help participants identify opportunities and then improve the quality of their ideas, whether they want to pursue an entrepreneurial path or innovate inside an existing firm. The focus of this class is to provide a thorough understanding of what is involved in leading a global company. Through a combination of lectures, cases and readings, the class will discuss and debate the key ingredients required to establish and manage a global company. This course is intended as a capstone for students’ Executive MBA experience. Students will develop an integrated understanding of business planning and strategy and test strategies in a competitive environment. 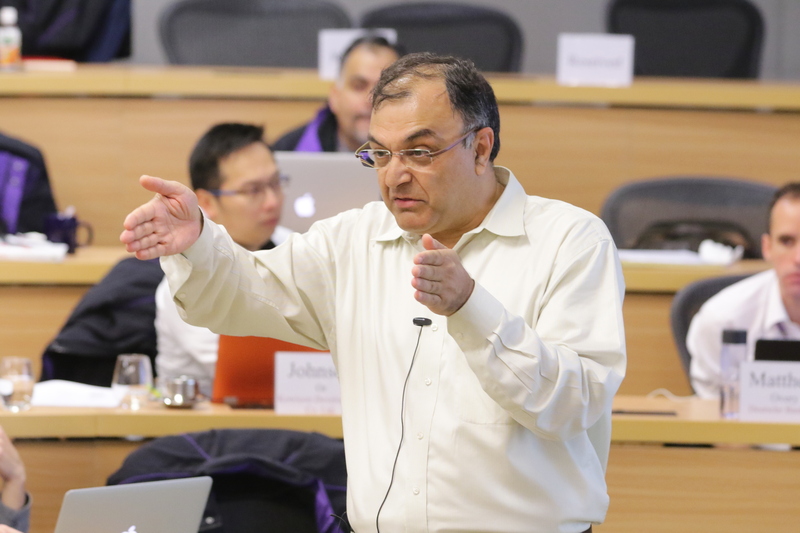 Executive MBA students may complete up to two global electives at Kellogg partner schools abroad, where homegrown faculty share rare insights into local business, culture and politics. Many leaders today find it challenging to cope with the increasing pace and unpredictability of change. For a large number of companies, the root cause of this change is disruption fuelled by digitization of products, processes, and business models. In this course, we will seek to define the skills, competencies, and behaviours that leaders require to succeed in environments characterized by digital disruption. Then, we will link leadership with strategy and organizational transformation. As a digital leader, you must lead the organizational transformation required to take advantage of digital opportunities and neutralize digital threats. We will introduce a set of frameworks to guide your transformation journey, and challenge you to apply your digital leadership skills to drive successful implementation in your organization. A day does not go by without an article in the news about another mega deal involving billions of dollars and tens of thousands of people. Always premised on synergies and benefits to materialize and substantial premiums to be paid up front. For most of us, the world of Mergers and Acquisitions is a mystery, it is far away and likely does not affect us. Until one day, it is our own company that is the target or we are asked to integrate a new division the parent just acquired. For others, it is about preparing and selling our own small or medium size company. We are not investment bankers nor do we fathom the intricate world of high finance. In this course, we tackle this very important strategic decision from a strategic and operational perspective. Buying or selling a company is not something that we do every day and most managers do not possess the skills or even the vocabulary to understand where to start and how to go about. In practical terms we will start our discussion in the course by exploring why people initiate such transactions. What is behind the motives of sellers and buyers. How do they prepare for a transaction and how they are supposed to react when a buyer comes knocking on the door. How do they reach an eventual agreement and how do they decide what is the right price to close the deal. We will look at what happens next. Once a deal is signed and completed, the lights dim, and the investment bankers go home, managers are left behind to sort things out and make things work. How? What are the priorities? What are the imperatives to keep in mind? What timelines and what guidelines are at their disposal to get the job done? We will examine recent and not so recent deals to understand what happened, why and how, but more importantly, what was the outcome and whether indeed, those transactions were worth the dislocations and upheaval they instigated. We will explore how the individuals and personalities involved have critically influenced the eventual outcomes. We will dissect the motives behind those moves, the process of initiating and completing a transaction and the most important challenges of integrating an acquisition. We will even do a refresher of basic DCF and other methods of valuation and tie them to the strategic decisions of buying or selling a company. This course covers the specific agenda of using intellectual capital for competitive advantage in multiple market contexts. In the contemporary economic environment, intellectual assets like know-how, inventions, content, brands, trademarks (forms of intellectual property), contractual agreements etc. are the largest proportion of a firm’s total wealth. And yet, many firms do not proactively manage these assets. In this course, we adopt a “lifecycle” approach to the management of an intellectual asset. Methods and frameworks developed in lecture are exercised in case studies from multiple contexts including Consumer electronics (Dolby, ttools, Apple), Agriculture, pharmaceuticals (AZ), consumer durables etc. In this course, we try to understand how venture capital firms operate and how the investment professionals in these firms think, consider and make investments decisions. Our primary goal in the course will be to attain a broad understanding of the venture capital eco system, which requires that we also examine the entrepreneurs’ perspective. We will focus on learning what makes for a successful transition from an innovative concept into a business venture implementation, which may also create significant wealth through an ever increasing shareholders value. To be successful in this course you should come to class well prepared, try to participate as much as you can, question and challenge the concepts discussed and present your own thesis and ideas. Consider yourself an investor for the duration of the course, read the materials and prepare the assignments thoroughly. Think about your participation in this course as a simulation to acting as a partner in a VC fund, investing your own firm’s funds into creative ventures, which may or may not become great companies, depending on how good your investment decisions have been and how well you have supported your portfolio of exciting start-up companies throughout the lifetime of your fund. Insightful executives of leading companies across the world are increasingly leveraging IT to create value and win competitive advantage in today’s fast changing technology and its implications on the business. As forward-thinking chief executives, it is essential that you develop an understanding of opportunities, risks and potential unknown effects of these technological trends. The course will include three modules: The first will focus on utilizing big data technologies for business, the second will focus on identifying and addressing with cyber security risks, and the third will focus on managing your company in the social sphere, the share economy and running a platform based business. Two defining characteristics of the technology industry are its dynamic nature and the inter- connected nature of technology products and services. This results in a continuous need for new products—and for managing all of the aspects of discovering, designing, developing, supporting and making money from these products. In technology companies, the Product Management organization is responsible for the “inbound” marketing activities as well as “outbound” marketing components: identifying unmet customer needs, orchestrating the development of products and solutions to address these needs, taking new products to market and managing products as a business. This course equips students with the frameworks, tools and direct experience to become effective technology product managers (whether as entrepreneurs or intrapreneurs within established technology companies). • Source and evaluate market opportunities for new technology products. With the acceleration of globalization and increasing impact of the digital revolution, it has become even more difficult for organizations to grow. This course will discuss practical lessons for delivering business growth. Overall, the course provides a playbook and simple tools for growing people and growing business across small and large industries around the world. In a world characterized by global competition, increased technological change, and intensifiedresource constraints, firms are increasingly using cooperative relationships with other organizations as an essential tool for achieving their overall strategic objectives. However, both large and small corporations are finding that successful “strategic alliances” are often difficult to achieve. Creating and Managing Strategic Alliances (CMSA) examines the theory and practice of creating and managing different types of strategic alliances, such as joint ventures, licensing agreements, buyer-supplier partnerships, and consortia. This course will enable the student to better understand the costs and benefits of strategic alliances (and why such alliances may be preferred over other strategies such as internal development or mergers and acquisitions). In addition, the course covers how to design alliances, and how to avoid the many potential problems and complications in managing these relationships. The course also provides a framework for managing the complex but increasingly common situation in which organizations are involved in multiple alliances. CMSA should prove useful for students interested in understanding the role of strategic alliances in contemporary strategic management. People respond to incentives and they do so in predictable ways. Starting with this simple premise, this course then asks how managers can design incentives to get employees to do what they want them to do. The goal of the course is to offer a micro-economic approach to both the internal organization of firms and its relationship with the firms’ overall strategies. Topics include the design of pay for performance contracts, which have increased labor productivity by almost 50% in some firms, but also caused significant problems in others. Another major topic is decentralization and the tools that can be used to manage the problems that often arise in decentralized firms. For instance, transfer prices can facilitate decentralization if designed appropriately, but also exacerbate problems if not. The course is structured around an equal number of lectures and case discussions. Case discussions may include classic cases such as Lincoln Electric and Arthur Andersen, and more recent cases such as Timken. The accelerating rate of innovation within the global economy requires corporations to employ new methods to achieve sustainable, innovation-led growth. Traditional internal Research & Development (R&D) and New Product Development (NPD) methodologies alone no longer suffice. Innovation must be a principal objective of senior management; unfortunately, few managers achieve the innovation competencies necessary to manage the portfolio of innovation required by global firms to achieve growth and profitability objectives. This course will apply a theoretical and applied approach to understanding Innovation Strategy & Management from the perspective of the senior corporate manager. The course will focus on innovation within business entities, from the typical technology and product innovation programs, to broader, process, marketing and other forms of innovation. The course will address innovation as a holistic strategic management imperative not limited to Research & Development or New Product Development. While the course will provide a theoretical foundation, the focus will be on real world issues, products and systems. This course examines the design, management, and leadership of teams in organizational settings. The focus is on the interpersonal processes and structural characteristics that influence the effectiveness of teams, the dynamics of intra-team relationships, and sharing knowledge and information in teams. The purpose of this course is to understand the theory and processes of group and team behavior so that leaders can successfully work with teams. Students who take advantage of everything this course has to offer will become comfortable and adept in leading and managing groups and teams. This course is designed to complement the technical and diagnostic skills learned in the other courses at Kellogg. A basic premise is that the manager needs analytic skills as well as interpersonal skills to effectively manage groups. The course will provide students with the opportunity to develop these skills experientially and to understand team behavior in useful analytical frameworks. 1.Experiential Learning: During each class, students will engage in an experiential team challenge pertaining to a key aspect of building, maintaining, and designing teams. 2.Feedback & Self-Examination: During each class, the instructor will lead a debrief that involves analyzing students’ performance. And, on several occasions, students willreceive personalized feedback on various dimensions of teamwork styles and approaches. 3.Applied Learning: Each week, the professor will introduce a theory or model and students will be encouraged to apply the model to: (1) the analysis of their own team’sperformance in class; (2) their own work teams in real organizational settings. Be persuasive in presenting your ideas. Learn to convince your clients, customers, and colleagues of the merits of your views, using the latest breakthroughs in cognitive science, computer science, and graphic design. The course covers the neuroscience behind the path from understanding to memory, the power of engaging an audience’s visual and motor systems, and the importance of leveraging existing brain networks through stories and metaphors. Through interactive exercises, the course will provide hands-on experience and tools for presenting data-based evidence with impact, across images, graphics, and visualizations of big data. Leave this course with expertise in the principles and cutting-edge methods for effective data visualization, as well as a practical toolkit for conveying your ideas in ways that are convincing, catchy, and contagious. Required prerequisite knowledge: Basic data manipulation in MS Excel. You will have the option of learning advanced visualization software (Tableau), but all assignments can be completed with a combination of Excel and PowerPoint. All critical decisions in business involve bets on future events about which there is no reliable past data or consensus about their likelihoods. Judgment in these situations of deep uncertainty tends to be clouded by behavioral biases that lead to frequent, often disastrous, forecast failures. This course provides frameworks to identify persistent psychological biases that underlie these failures and shows how tools of cognitive psychology and probability can effectively mitigate them. We use these cases to identify of biases like over-optimism, herd behavior, narrow framing, escalation of commitment, winner’s curse, failure to appreciate tail risks, and the sunk cost fallacy. The course’s frameworks will help you anticipate these biases and will provide tools to improve your decision making process. These tools include pre-mortem analysis, scenario analysis, decision trees, models of wisdom of the crowd and informational cascades. • Required background: basic knowledge of Excel and probability concepts at the level covered in Kellogg introductory courses. In a world characterized by global competition, increased technological change, and intensified resource constraints, firms are increasingly using cooperative relationships with other organizations as an essential tool for achieving their overall strategic objectives. However, both large and small corporations are finding that successful “strategic alliances” are often difficult to achieve. Creating and Managing Strategic Alliances (CMSA) examines the theory and practice of creating and managing different types of strategic alliances, such as joint ventures, licensing agreements, buyer-supplier partnerships, and consortia. This course will enable the student to better understand the costs and benefits of strategic alliances (and why such alliances may be preferred over other strategies such as internal development or mergers and acquisitions). In addition, the course covers how to design alliances, and how to avoid the many potential problems and complications in managing these relationships. The course also provides a framework for managing the complex but increasingly common situation in which organizations are involved in multiple alliances. CMSA should prove useful for students interested in understanding the role of strategic alliances in contemporary strategic management. This course is intended for those from business-owning families, whether they work in the family business or not. Topics range from values driven culture, to succession and family vision and dynamics, to continuity planning, leadership and strategic performance and family constitutions and business governance. The course is also appropriate for those who have family foundations, family investment companies and/or family office. This course focuses on private equity (LBO funds) and hedge funds, their influence on corporate decision-making, and measures taken to counter threats and exploit opportunities represented by these investors. Competition and cooperation between investment banks, LBO funds and hedge funds will also be analyzed. Finally, post-financial crisis changes in regulations governing these institutions will be considered. The course uses six Kellogg cases to facilitate discussion regarding hedge fund and LBO fund investment strategies, and corporate initiatives to either keep these investors at bay or utilize them to enhance shareholder value. Good decisions rely on good information. The broad objective of the course is to provide a fundamental understanding of how well-managed firms gain insights into their customers and the market place. The course is aimed at the manager who is the ultimate user of the research and thus is responsible for determining the scope and direction of research conducted. The course will cover different marketing research techniques including how to conduct segmentation studies, develop profiles for target segments, develop new product launch and positioning strategies. We will also go over different statistical applications including regression, cross-tabs, cluster analysis, factor analysis and conjoint analysis. The emphasis will be on the interpretation and use of data to make strategic marketing decisions. The course deliverables include both individual and group assignments designed to sharpen your skills in identifying the data most relevant to the business objective, assessing the quality of data generated from research, and using data to guide the design of marketing strategies. All economic systems are defined by “rules of the game:” laws, regulations, and implicit norms of behavior that structure market competition. Examples include: antitrust legislation; regulatory compliance requirements; privacy regulation and norms; intellectual property rules; product liability rules; barriers to exports; etc. Successful companies excel at reacting to, and influencing, these rules. Disney, for example, successfully lobbied to extend the duration of copyright protection, thus prolonging its exclusive ownership of the Mickey Mouse character. In another example, Monsanto has long been seeking to overcome European Union regulatory barriers to genetically modified crops. Often, success in these “non-market” endeavors is critical for sustaining market competitiveness of a single firm or of a whole industry. In this class you will learn how to think strategically about the rules of the game, and how to make the rules of the game work for your company. “Strategies for Growth” is about effectively scaling a business. Because growth is an imperative for many organizations, it is crucial to understand the strategic fundamentals underpinning profitable growth. Therefore, the course connects frameworks from economics and strategy to the experiences of firms attempting growth initiatives to illustrate why some businesses can scale successfully while others struggle. The cases and examples in this course will focus on “middle-market” companies – organizations that are beyond the initial startup stage and are explicitly looking to expand their business. The case materials include first-person accounts of the challenges of growth for these companies, as collected in interviews conducted during the research stage of my “Roadside MBA” project (www.roadside-mba.com). The cases will be supplemented with discussions of strategy frameworks that can be used to extrapolate from experiences of these specific firms to general insights about growth and scaling. Over the past two decades, market integration and deregulation of key industries as well as the competitive pressures of globalization have fundamentally changed the challenges and opportunities firms face in European markets. The objective of this course is to identify and understand the forces and trends on both the supply and demand side that affect competitive strategies of firms in European markets. In particular, it is important for the business strategists to understand the outreach and authority of the European Commission in terms of trade, labour, and the enforcement of EU competition policy rules and competition law. Today’s business world is characterized by an unprecedented growth of data, by 2020 we will experience a 300-fold increase from 2005. This data comes in a broad variety of forms: 420 million wearable health monitors are currently in use, more than 4 billion hours of video are watched on YouTube each month and 30 billion pieces of content are shared on Facebook every month. A lot of the data is analyzed in real time: modern cars have about 100 sensors and the NYSE captures 1 TB of trade information during each trading session. However, 1 in 3 business leaders don’t trust the information they use to make decisions and about 27% of respondents in one survey were unsure of how much of their data was inaccurate. 4.4 million IT jobs have been created globally to support big data. AlphaGo has recently beaten the reigning (human) Go champion. In this big data landscape, it becomes imperative for senior managers to understand what tools are available to gather data, to subsequently aggregate data into information and how to use this information to make better decisions. The primary focus of this course is to gain an understanding of the potential of statistical and machine learning approaches in business. Senior managers should have trust in their analytics teams that they come up with solutions that entail a competitive edge – such trust will be bolstered by having first-hand experience with analytical tools and the decisions based on them. Business goes global, but taxes stay local. This provides opportunities as well as challenges for firms. For example, firms can avoid taxes by exploiting differences in tax rates around the world and shifting profits and business to low tax countries. At the same time, firms have to deal with potential double taxation on cross-border investments. In addition, many countries implement complex regulations to fight tax avoidance. We are living the golden age of entrepreneurship. Thousands of new ventures are started every month around the world. And never before are so many people enamored with the idea of launching their own business as they are nowadays. In this course, we focus on financial economic foundations of a new venture. We examine a new venture’s financing options, appropriate capital and governance structures, and risk management tools at each stage of its lifetime, from idea to exit. These choices are complex in nature, create path dependency (i.e. have long-term repercussions for future financial decisions), and substantially influence the magnitude of economic value created and captured by the start-up and how this value is distributed among its shareholders. The purpose of this course is to help prospective founders, investors and managers acquire cutting-edge knowledge and skills to make successful financing and investment decisions in entrepreneurial settings. Managing an international business or one exposed to global competition requires an understanding of international financial instruments, markets and institutions. This course seeks to provide you with a working knowledge of these issues. The topics we cover include: the nature of foreign exchange risk, the determination of exchange rates and interest rates, the management of foreign exchange risk with forwards and options, exchange rate forecasting, the evaluation of international investments, currency speculation, the impact of monetary policy on exchange rates, and current developments in the international financial system. Kellogg’s hybrid courses combine the convenience and flexibility of online learning with the social and instructional benefits of face-to-face classroom experiences. Students engage in online interactive instruction and guided practice, freeing up valuable in-person class time for in-depth case study discussions, collaborative problem solving, and student-driven question and answer sessions. The hybrid courses have the added benefit of exposing students to media-enriched, documentary- style lectures that capture the expertise and stories of the renowned Kellogg faculty members who designed them. These courses will also deepen global connectivity by allowing students to participate in a portion of the coursework from the location of their choosing prior to arriving on campus. The hybrid courses will comprise both online and on-campus components. Each course will have approximately nine hours of face-to-face instruction over three days on-campus. The online portion of the course will be available to students in the weeks preceding (precise timing to be determined) and students could complete this content at a time of their choosing before the on-campus sessions. In other words there is no synchronous online content. The content will be housed within Canvas. Each course will be worth 1 unit. If students participate in these courses, they must take both not just one. The course aims to help you understand the role of branding and brand management, sharpen your skills in identifying and solving brand-related problems, and facilitate your ability to develop actionable brand management strategies. The course builds on the knowledge gained from the marketing management and marketing strategy courses to focus on developing successful strategies for building strong brands. China is a rapidly growing consumer market with more companies throughout the world looking for ways to develop their marketing, branding and communication that is relevant to Chinese consumers. The aim of this course is to equip students with the right knowledge about China market and provide insightful analysis. Therefore, this course focuses on China market and seeks to build knowledge, understanding, and skills in the analysis of marketing problems and the development and implementation of marketing strategies in China. The course utilizes a mixture of lectures and cases. The lectures will discuss established marketing concepts, frameworks, and decision-analytic tools. The lectures on a given topic will be followed by case discussions, and analytical exercises. The cases simulate real-world marketing problems and as such, they are often characterized by uncertainty and incomplete information. The cases will provide you with a forum for developing, presenting and defending your recommendations when a range of solutions are feasible. This is a course is designed to discuss various contemporary issues related to the Chinese financial markets and institutions. The course will offer select topics through mostly case discussions. 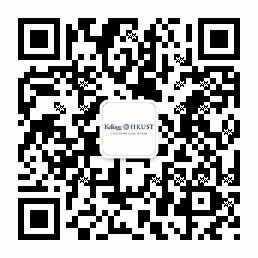 Course objectives are to enhance student understanding of Chinese financial system, and prepare for more advanced discussions about Chinese economy and management.